Keystone Realty Group is a real estate development and management company located in downtown Indianapolis. 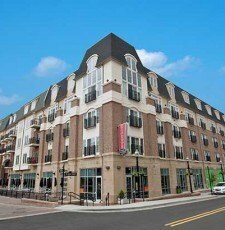 We offer development and real estate services with an emphasis in multi-family, office, retail, and mixed-use projects. Our company is known for an ambitious and forward thinking approach to real estate development. Keystone Realty Group is renowned for our innovative building techniques, design excellence, and creativity. We combine ideal site locations with building designs that appropriately meet the expectations of our clients, users, and community. Keystone Realty Group developments are often recognized by their unique design, prominent location, and modern amenities.